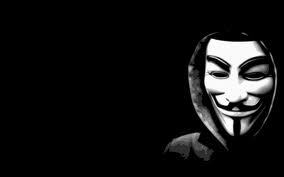 Hacktivist group Anonymous said it has posted the sensitive details of 4,000 bank executives on a government website. On Sunday night, an Anonymous Twitter account called “OpLastResort”tweeted about the leaked information, which was posted on the website of the Alabama Criminal Justice Information Center (ACJIC), a clearinghouse of criminal records and statistics for the state. The ACJIC page – where the information was posted Sunday – has since been taken down, though a cached version of the web page is viewable using Google. According to Anonymous, the dump included the personal data of financial institution employees – including CEOs, presidents, CFOs, IT management, loan officers and secretaries. Data alleged to be the first and last names of employees was posted online, along with individuals’ addresses, titles, names of their financial institution, email addresses, IP addresses, login IDs and hashed passwords. Anonymous launched Operation Last Resort to call awareness to the January suicide of 26-year-old internet activist and Reddit co-founder Aaron Swartz. The campaign protests overzealous prosecutors of computer crime laws, according to Anonymous, which many believe drove Swartz to hang himself. A Monday tweet from the “OpLastResort” account alluded to the leaked information coming from the Federal Reserve. Last Tuesday, the Alabama Department of Homeland Security (ALDHS)announced that intruders had breached a firewall protecting the state’s IT network to infiltrate a number of endpoint computers. It’s unclear if this attack is related to the Anonymous dump, but in 2010, the ACJIC announced (PDF) that its “technical operations” would support a new DHS project. SCMagazine.com reached out to ACJIC, but did not immediately hear back.